accounting organizations alike are reviewing their current processes, technology, and talent, to build their blueprints for change. 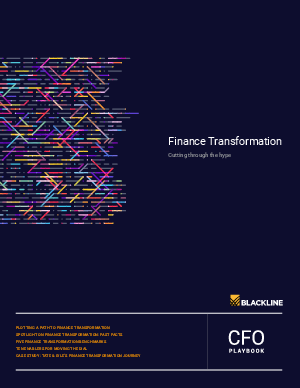 With the rise of broader digital transformation projects, finance organizations are first looking to upgrade their own operating models. The truth is that finance transformation is a journey, not a destination. Many finance organizations have already embarked on it, driving down costs, whether through enhancing shared services centers, or applying more centralization, standardization, and automation. Yet for many, the greater opportunities lie ahead: providing better insight to the broader organization, shedding low-value workloads that hold the team back, and revamping ingrained legacy accounting tasks that create risk. Wherever you are today, there are real opportunities to move the dial away from the status quo.